The theme of my first posts on this blog are indeed presidential and this post is too. Well, a bit anyway. When setting the blog up I thought about what to write about, which themes and interests I would dive into. One of those interests is photography and I was planning to post something about The Big Picture. At some point in 2008 I found the Boston Globe blog and at first sight I was fascinated by the spectacular current event photos. The news photo blog was created by a Boston Globe employee, Alan Taylor. As he explains in his blog post about The Big Picture the sizes of the photos are deliberately large. It is a pleasure to view the (990*807) large photos originating from various sources like AP, Reuters, Getty and more. As I don’t subscribe to any newspapers or cableTV spending time at The Big Picture is also a nice way of keeping myself in the loop of what’s going on around the planet. If only browsing the rest of the web could be so interesting. I like this project from Danish photographer Simon Høgsberg. Two Little (Huge) Things Obama Said – The Board Blog – NYTimes.com. Read the comments after the jump. I listen to this everyday. Well, I have done the last couple of days anyway. At the moment I don’t need an iPhone. I will eventually though. When I get one I’ll immediately install this wallpaper. I cannot help being a bit excited about what looks to me as being a special beginning starting tomorrow. 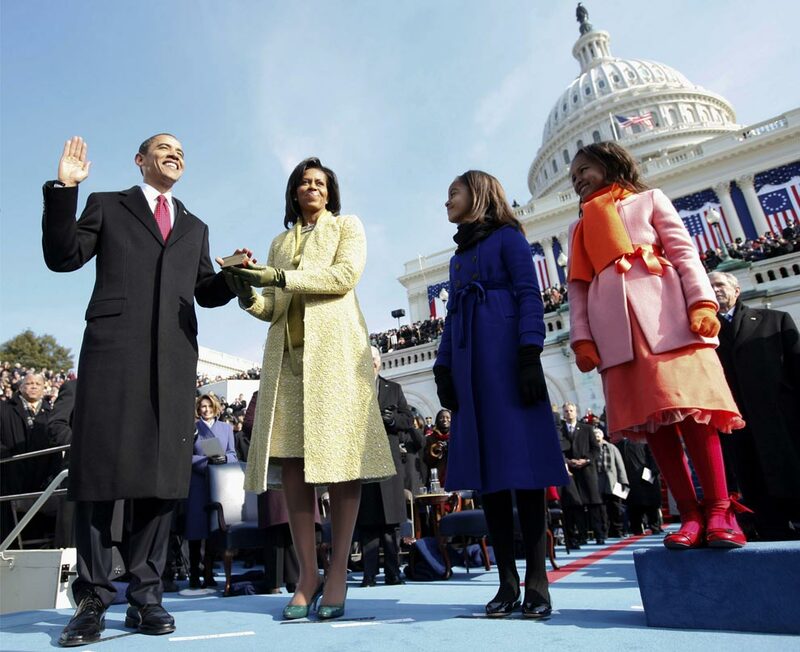 Barack Obama will be sworn in as the 44th US President. As a European I’ve been sorry (and angered) to follow the now outgoing administration and it’s disappointing and less than constructive way of managing the last 8 years. Bush years: 8 years in 8 minutes says it all. I hope and believe the new president will bring something entirely different to the table and guide his nation and people to another level of resourcefulness, commitment and responsibility. Time will tell if that happens, but I’m crossing my fingers. As I am interested in what goes on in American politics I’ll be following closely. So while the new president goes to work I’ll still enjoy the funny stuff from the last 8 years. Inauguration Edition, originally uploaded by stickerobot. I wouldn’t mind having a few of them. For some time now I’ve been following Eric Clausen’s Flickr stream and blog. Though I’m not into wedding photography I do find Eric’s photos spectacular and refreshing. Now he’s launched a shop to sell some of the textures he uses in his post-processing and I would love to get my hands on them. The price of $149 is a bit steep for 20 texture files even though I would also get access to a Flickr group for owners of the texture set. I might just have to take a hammer to the piggy bank soon. Take a look at the textures. Agent Angelo, Proudly powered by WordPress.